Once you reach this Resources folders, you'll be able to get large, HD icons for various Apple products, including Macs, iPhones, iPads, and more. Each of these icons is 512x512 in size. 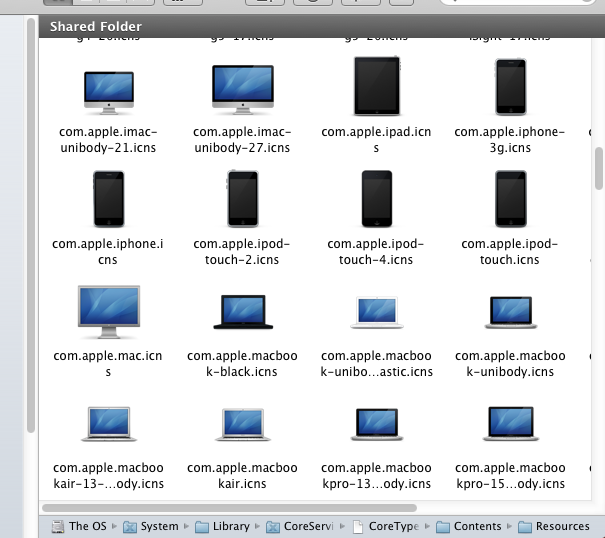 In addition, you can also get icons for just about every built-in app in Mac OS X, including all the icons in Finder. 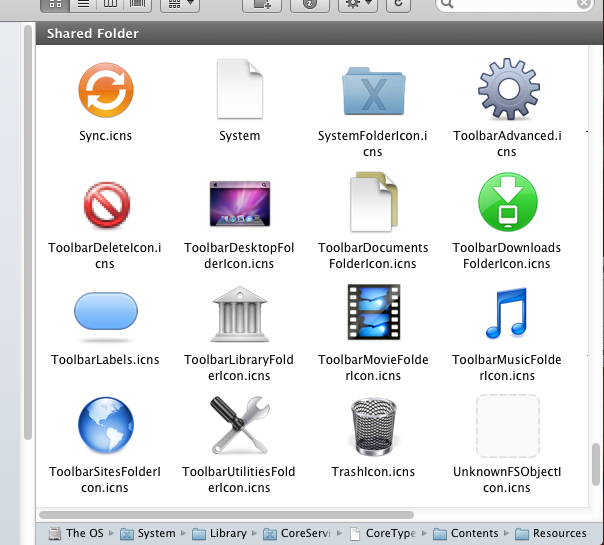 All of these system icons are saved in the default Mac OS X icon format (.icns). 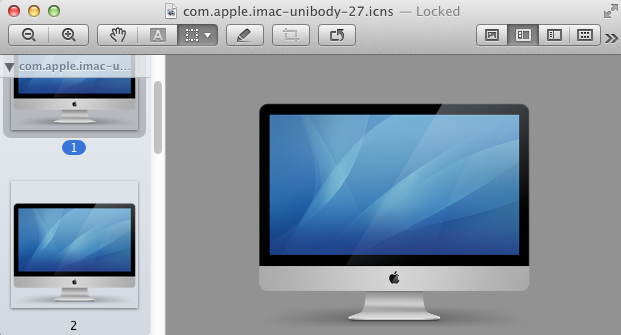 Most image programs don't support this format, so you'll probably want to open these icons with Preview (which should be set as the default app to open .icns files) and go to File->Export in the menu bar of Preview. 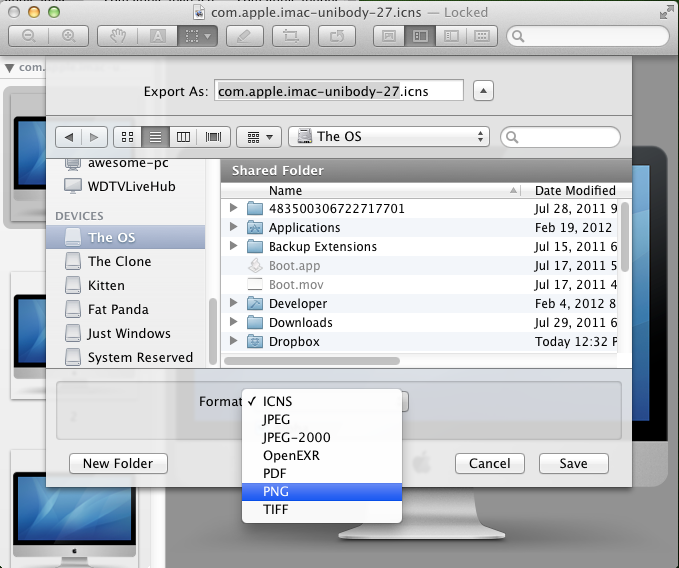 From here, you can save the icons as normal .png or .jpg files.